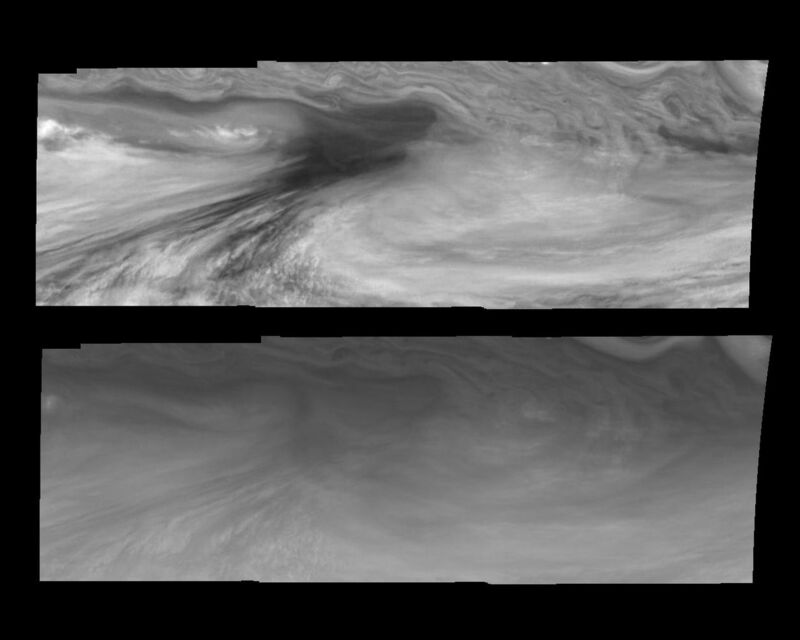 Mosaics of an equatorial "hotspot" on Jupiter at 756 nanometers (top) and 410 nanometers (bottom). The mosaics cover an area of 34,000 kilometers by 11,000 kilometers. The dark region near the center of each mosaic is an equatorial "hotspot" similar to the Galileo Probe entry site. 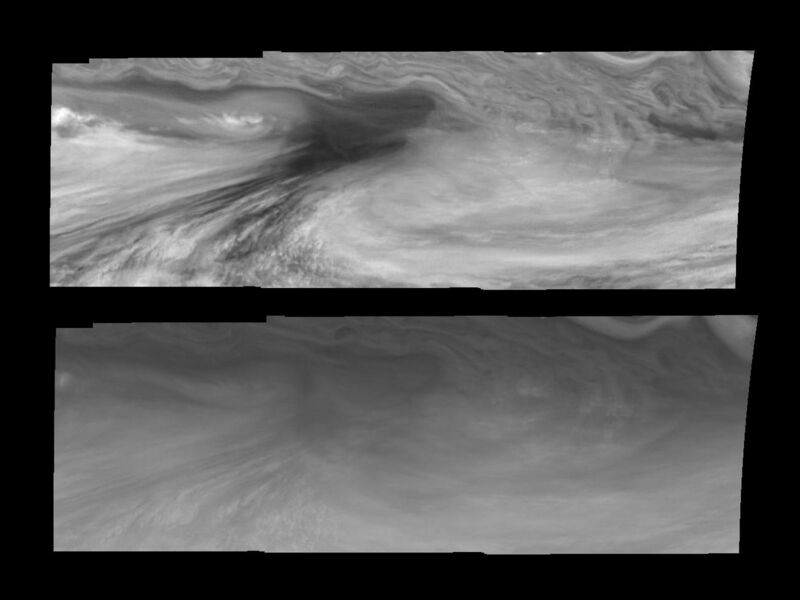 These features are holes in the bright, reflective, equatorial cloud layer where warmer thermal emission from Jupiter's deep atmosphere can pass through. 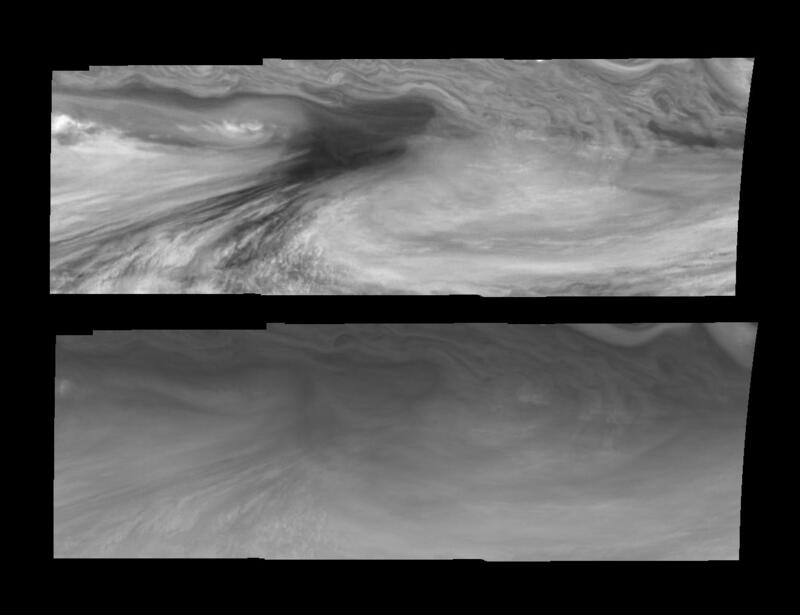 The circulation patterns observed here along with the composition measurements from the Galileo Probe suggest that dry air may be converging and sinking over these regions, maintaining their cloud-free appearance. 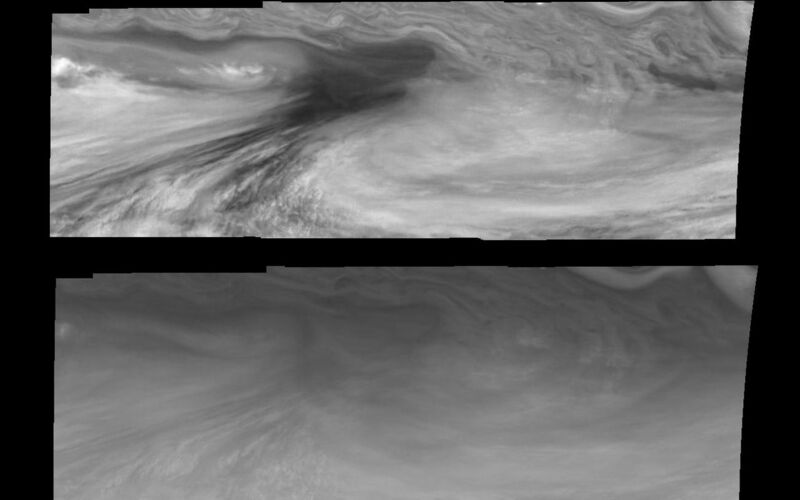 The 756 nanometer (nm) near-infrared continuum filter shows the features of Jupiter's main visible cloud deck. Light at 410 nm is affected by the sizes and compositions of cloud particles, as well as the trace chemicals that give Jupiter's clouds their colors. Near-infrared continuum images are used to study cloud patterns and motions. Violet images contain additional information about cloud color and cloud particles.